A new Bolero is here! Not really, but it does come with small but significant changes. To keep things fresh, the face has been updated with reworked headlights and an tweaked grille. The real work however, has been done under the hood and inside. The interiors have gone all-digital, there are no traditional dials to speak of. There’s a very ‘Back to the Future’ DeLorean DMC-12 feel to it, and we think it’ll be quite a hit with the rural folk. In the ZLX variant, you get two-tone interiors with wood-finish inserts, power windows, immobiliser, aircon and rear wash/wipe. But flaws like poor seating comfort and general lack of space in the second row remain. The old 2523cc 4-cylinder oil burner now gets a common rail head. It still makes 63bhp and 197Nm of torque but it’s quieter than the old DI engine, with diesel clatter well under control, at least on the inside, with the doors shut. It will get boomy when pushed but it’s unobtrusive at cruising speeds. And with only 63 horses, don’t be surprised when 100kph comes up in 27.6 seconds. Given the space and time, the Bolero will eventually hit 133kph. Fuel efficiency is good, at 10.1kpl in the city and 12.8kpl out on the highway. Okay, so you’ll shy away from traffic light drags. But the Bolero does impress with part-throttle responses and even feels peppy in city traffic. Ride quality too is quite good and the suspension quietly works away at rounding off most bumps, specially the larger ones. Handling isn’t great though, the steering doesn’t provide any feedback and the tractor-like brakes will ensure you transfer a wet patch on to the seat every time you hit the brakes in a hurry. But despite all this, straightline stability is quite decent. The Bolero will do well on rural back roads but doesn’t particularly like changing directions in a hurry thanks to its tall stance. This car may not be spacious or comfortable, and it may appear dated, but what it does have is bucketloads of ruggedness. You can take the Bolero pretty much anywhere and not worry about breaking something. And even if you do, the parts prices will not lead to a cardiac episode. 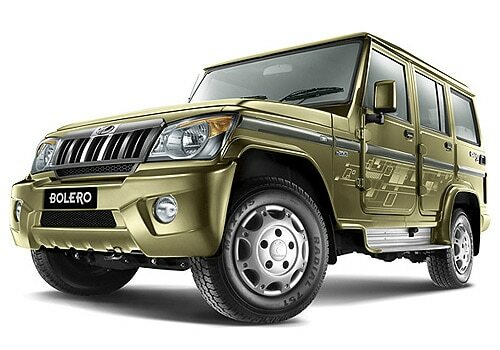 If you look at it as premium transport for rural areas, the Bolero makes a good case for itself. But if you’re looking for something to drive around in the city, or for extensive highway running, the Bolero will only appeal to diehard fans and the security forces. And where the hell is that 4WD? Very nice article sharing Mahindra cars.If anyone wants to Buy Mahindra Bolero Tyres Online then visit our site Tyreonwheels and get tyre in lowest price.